Barca vs Madrid: Can Modric save Real's season? You are here: Home ∼ Barca vs Madrid: Can Modric save Real’s season? Barca vs Madrid: Can Modric save Real’s season? A last-four tie that pits Spain’s biggest two clubs together is a mouth-watering prospect, with the recent resurgence of both Modric and Madrid threatening Barca’s present dominance of the cup. Barca are hunting a fifth consecutive Copa del Rey crown, and with Madrid well off the pace in La Liga – they are eight points behind the league leaders – this could be their best chance of adding to the silverware they won at last year’s Club World Cup. Santiago Solari has finally found a winning formula at the Santiago Bernabeu, with Madrid victorious in five games in a row in all competitions ahead of Wednesday’s first-leg trip to Camp Nou. Central to their success has been Modric, who is hitting top form again after a slow start to the season that was disrupted by speculation he could leave for Serie A giants Inter, as well as understandable fatigue from his efforts leading Croatia to the World Cup final. Modric was rightly garlanded as the player of the tournament at the end of Russia 2018, but when he collected a maiden Ballon d’Or in December’s glitzy ceremony, it felt slightly jarring. A 3-0 loss at Eibar after the caretaker was handed a permanent contract brought Madrid back down to earth with a bump, and their home defeat to CSKA Moscow by the same scoreline in the Champions League showed Solari did not have a magic wand. 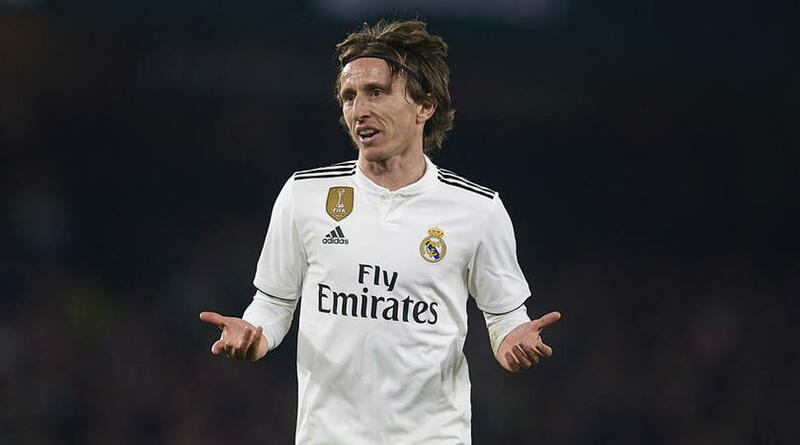 But, since the turn of the year, Modric appears to have rediscovered his form, with goals in consecutive La Liga wins against high-flying neighbours Sevilla and Real Betis helping to clinch vital points for Madrid in January. With three goals in his past eight appearances for Madrid, Modric is certainly undergoing something of a goal-scoring renaissance. And Los Blancos have needed his goals, with both Marco Asensio and Gareth Bale having been sidelined by injury of late, coupled with the sale of Cristiano Ronaldo to Juventus, leaving the club shorn of their most regular scorer. It was there that Harry Redknapp – who was credited in Modric’s Ballon d’Or acceptance speech – opted to move the Croatian into a deeper midfield role so he could dictate the tempo of Spurs’ play. Modric has only once scored more than three league goals in a season since leaving Zagreb, but as he approaches the end of his career, he appears to be shooting more often again. Barcelona would not have expected Modric to be a major goal threat, but Ernesto Valverde must have a plan of action to combat the Madrid midfielder’s rockets from range on Wednesday.